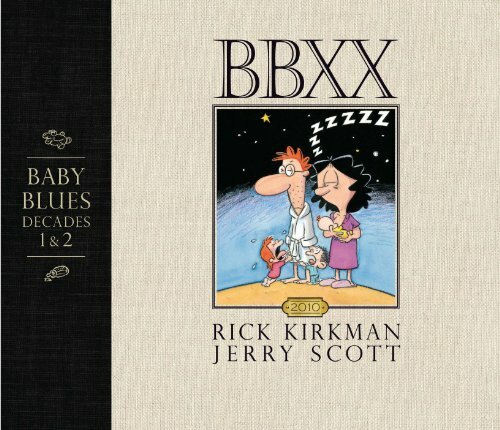 This huge 336-page hardcover book is a wonderful collection of Baby Blues comic strips selected by creators Rick Kirkman and Jerry Scott. There are lots to read and laugh about. Parents will be able to relate to the joy of parenting. LOL. Selected strips also come with interesting commentary on where the idea for the strip came from, readers' reaction, and more. Additionally, the book also has biographies for the two creators, stories of early development and behind the scenes look at how the strips are created. If you have been collecting their yearly compilations, you have already seen all the comic strips before. The extras would be the commentary. It's a funny book. Parents will get the extra kick out of the book.